Starwood's Westin brand for London debut? Starwood Hotels & Resorts’ brand Westin may be destined for the City of London. 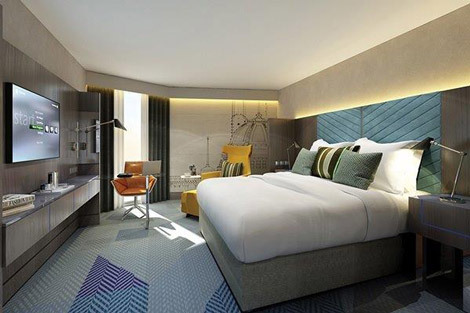 The Queensbridge House project, located directly opposite Tate Modern and sitting between the pedestrian Millennium Bridge and Southwark Bridge, will include a 224-room hotel. According to the architect’s website, this will be a Westin. BDL Hotels, which has a number of hotels including Hilton, Intercontinental and other brands (for a full list click here), will likely be the operator. 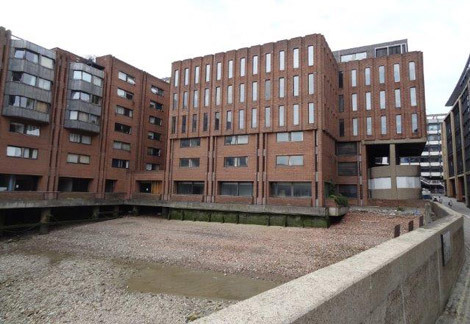 Queensbridge House (above) is located at Queen’s Quay, and has the Queenhithe Dock in front of it, said to be the only remaining Anglo Saxon dock in the world. The development will see a vacant office block, now covered in scaffolding as part of the demolition process, demolished and replaced by a hotel and apartments. 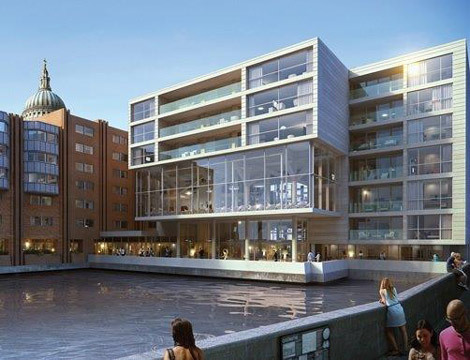 Extending over and across the busy Upper Thames Street, it will restore the riverside walkway and incorporate a restaurant and bar with river views, although the location has proved difficult and the prospective hotel has been delayed for many years. Starwood has plenty of properties in London’s West End (like the W Leicester Square, the Park Tower in Knightsbridge and the Sheraton Park Lane). More recently, it opened an Aloft in London’s Docklands in 2011 (see news, October 2011). Until now, the Westin brand has been absent. 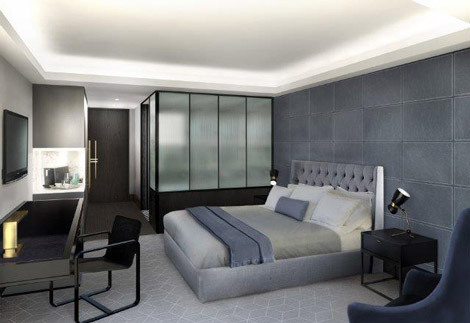 Various interior renderings showing different design schemes can be found on the internet, including ones for the Queensbridge House Hotel (the name a previous incarnation of the project was given by Proof Consultancy). But with completion not before 2017, it will likely take some time before anything definitive will be available.